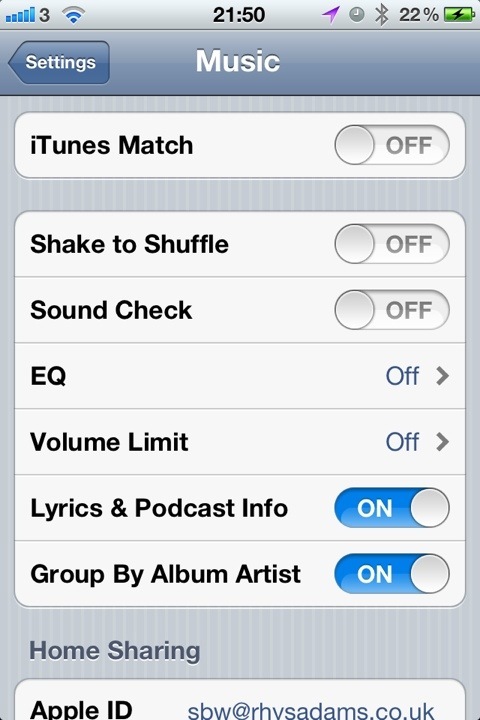 iTunes Match is now available in the UK and I have signed up for the £21.99 per annum service! What iTunes Match does is enable you to stream your music collection (upto 25,000 songs) on all of your itunes computers, Mac’s, iPhone, iPads and Apple TV. You can sign up for this once you have downloaded iTunes 10.5.2. It took me a while to find out how to do it on my iOS5 devices, so have posted the instructions below. 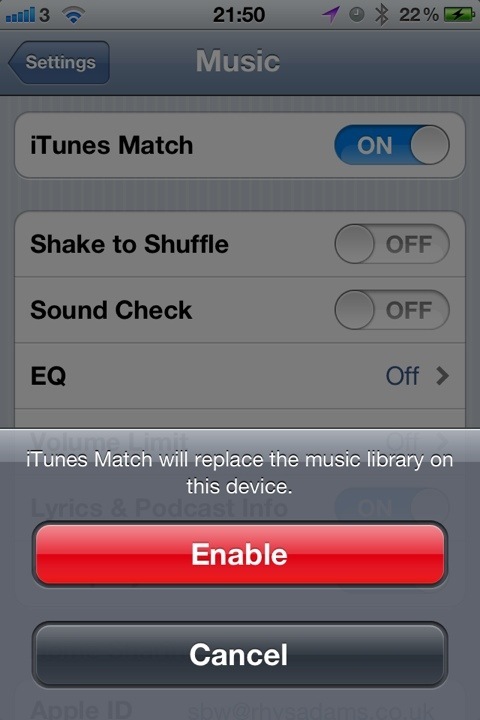 With thanks to Paul Sissons (of buymobiles.net) – You do need to turn the iTunes Match service up on your PC or Mac first. And also you don’t need to store the songs on your iOS device, you can stream them off the icloud as long as you have an internet connection. 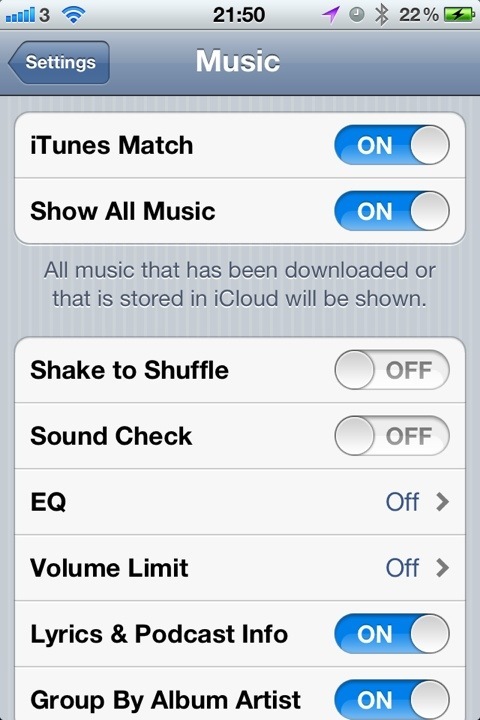 Then decide if you want all of the music available on your iCloud to be shown on your iOS device.